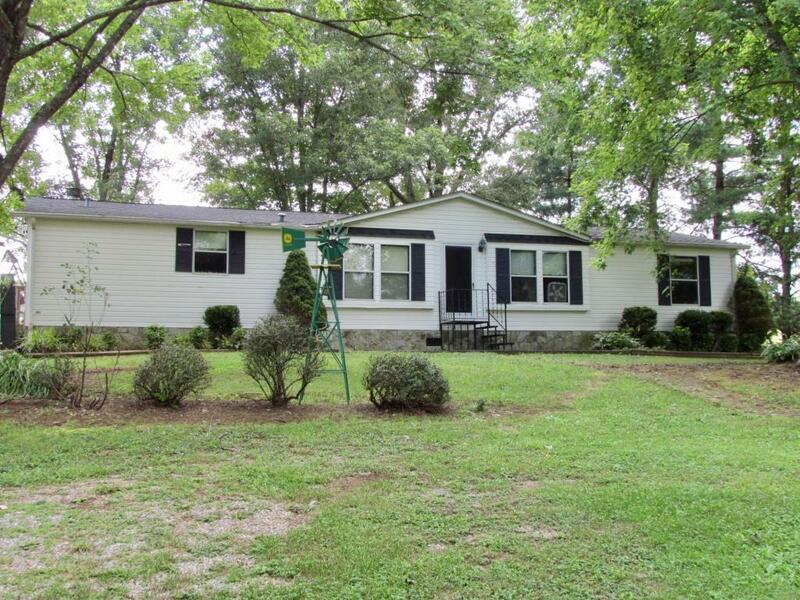 10.59 Private Acres with, Open Pastures, Wooded Walking trails, abundant Wildlife surrounding a 3 bedroom, 2 bath Ranch with a spacious master bedroom with walk-in closets, master bath with dressing/make-up area, eat-in kitchen, den, family room, dining room, laundry room, detached work shop, barn, storage building and fenced in areas on concrete for raising animals. Recent updates include: Architectural shingle roof (2008), New well pump and tank (2006), Dish washer (2015) and Electric Range (2014). Drive up to serene views of Mountains and pasture land and Enjoy your peaceful surroundings. Come See What This Home Can Do for You! !